Did you know that one of America’s biggest music festivals—arguably the largest, in fact—takes place every Summer in Wisconsin? The 52nd Annual Summerfest will take place over 11 days, from June 26 – July 7 ( the festival will be closed Monday, July 1). Musicians will perform sets along Milwaukee’s waterfront, at the American Family Insurance Amphitheater and its multiple stages. Summerfest 2019 has unveiled their event performers, a long, diverse, and incredibly exciting list of musicians. Most Summerfest headliners had huge celebrity moments last year, including the six-time Grammy nominated Brandi Carlile, the emo-pop songstress Billie Eilish, and the forever young Jennifer Lopez. Not to mention, Lil Wayne, Snoop Dogg, and Schoolboy Q sharing the stage on July 7, a rap and hip-hop set that will likely be envied for the rest of the year. What to know before braving Summerfest 2019:This has been certified as the largest music festival in the world, drawing crowds between 800,000 and 900,000. Divided by eleven days of music, 11 stages, and over 100 performers, Summerfest is epic in all proportions. 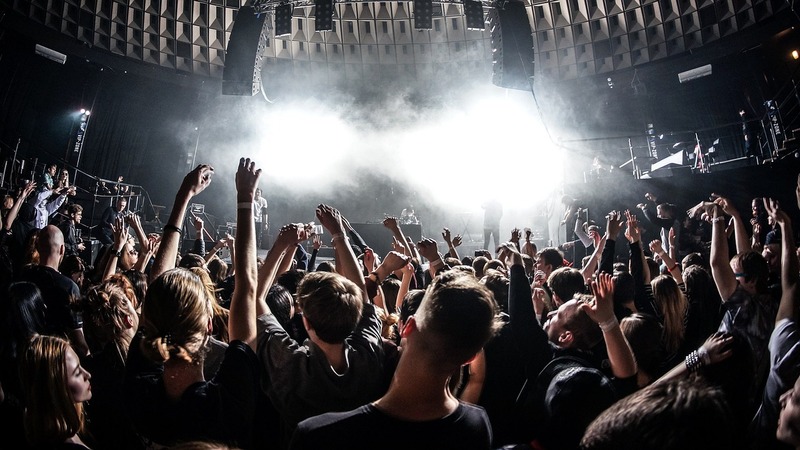 What to know about Summerfest 2019 Tickets: Summerfest 2019 tickets are currently on sale in a variety of forms, including single day passes and a “Power Pass,” which allows visitors entry for the full 11-day festival run. Tickets for American Family Insurance Amphitheater shows are to be purchased separately. 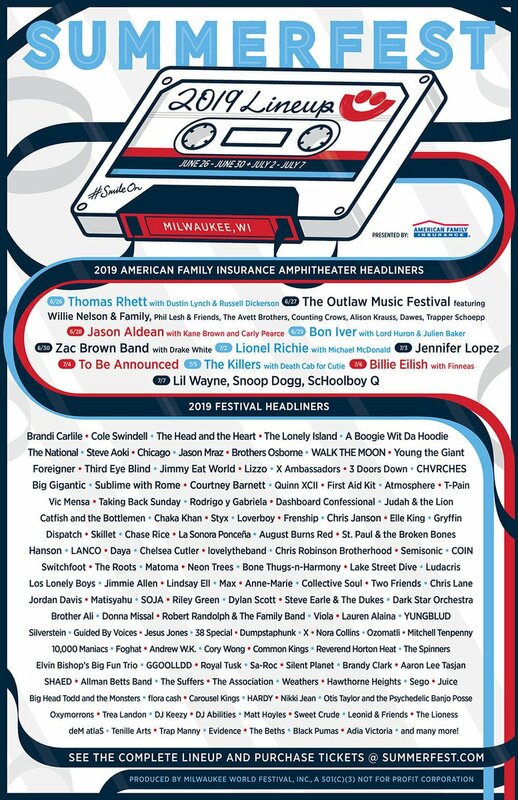 Check out the full Summerfest 2019 lineup, below.